Android 2.2 ... Archos has not stepped up to the plate to give us an optimized version of Android 2.2 that will work. But Archos has released the source code and SDE for the Archos 5 IT but that IMO is just not enough. So the folks over at openAOS have released 2.2 for the Archos 5 IT it runs and seems to rum pretty good ... Just a little slow ... and they are on version Alpha 5 .. and they seem to be halted at this time on development. 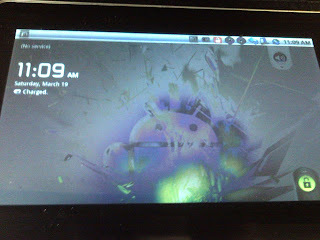 You should have some Linux background and a version of Ubuntu running somewhere to Hack the ARchos 5 IT with Android. If I get some time I will do a full either picture or video walk through of how to do it ... their instructions seem a bit daunting to the new users. Good luck and more to come. 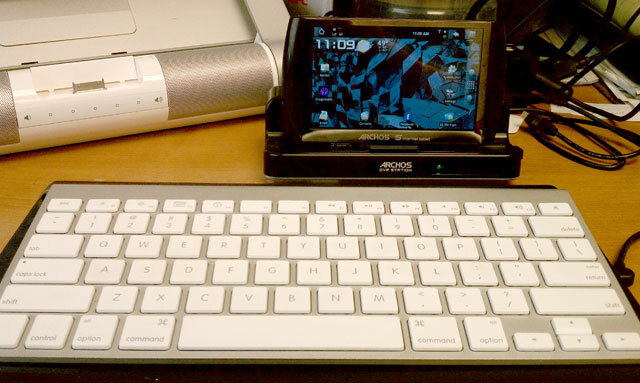 Yes it works ... And this is How I paired the Apple Bluetooth Keyboard with the Archos 5 IT. Go to bluetooth setting on the Archos 5. After the Archos 5 IT finds the Apple Keyboard. On the Archos 5 press the keyboard and it will ask for a pin number. Enter 0000 on the Archos 5 IT then click OK. Very quickly on the Apple Keyboard type in 0000 and Enter / or Return. If you have problems after pairing the Archos 5 IT with An Apple Keyboard these steps may also have to be done. Press the power button on the apple keyboard to make sure it is on. Go to bluetooth setting on the Archos 5 IT. Long click on the apple keyboard and select "unpair". This will unpair the apple keyboard, but it will still be included in the list of bluetooth devices. Right after you click "unpair", immediately click on the apple keybaord and press pair. This will bring up the window for you to enter a PIN. 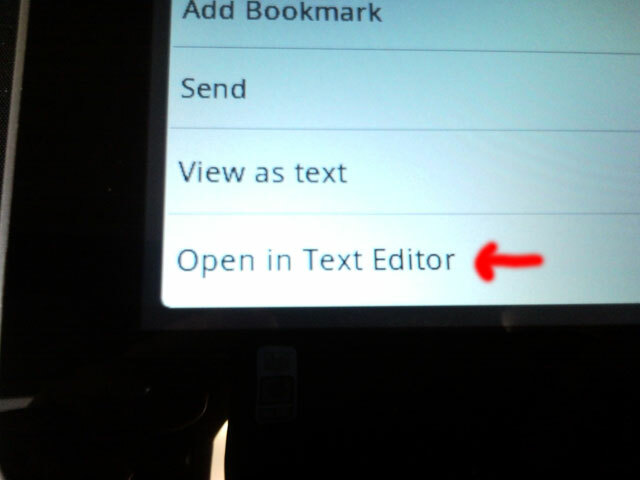 Enter the PIN on the Archos 5 IT and press OK. Enter the PIN on the apple keybaord and press "return". 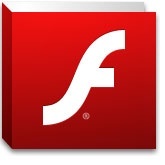 Adobe has released a beta version of Adobe Flash for Android devices. The new update is available for mobiles running on Android 2.2, 2.3 or 3.0. Well I know what I will be doing tonight seeing that I finally was able to activate my HTC Droid Incredible today from Verizon. With Android version 2.2 I should be able to download Adobe Flash 10.2 Beta from Android Market. Hmmm.. I wonder how it will work on the Pandigital Novel I hacked up to Android 2.2 ( DOH double checked .. Pandigital is still only on 2.1 even hacked .. so no Flash just yet).. The main improvements come to users of Android Honeycomb which is the tablet version of the operating system. Android tablets will now benefit from the ability to load full flash content. Another key improvement is to dual-core devices which will now benefit from increased speed and improved battery life. Single-core users will see slight improvements to the Youtube player. The new version will also now support 720p video playback and addresses a security issue that plagued previous versions. 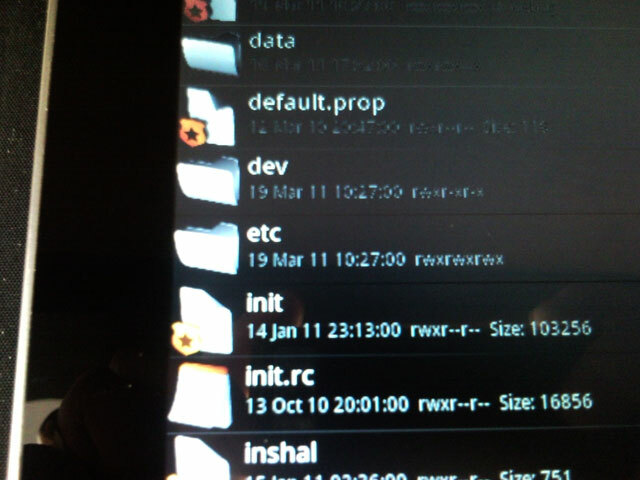 The ePad or Zenithink Android Table as mentioned in previous postings is pretty good out of the box .. But there is always something we can do to make it better. txpower hack on the ePad / Zenithink will reduce some of the heat that is given off on the back of the Android Tablet... BTW its HOT... not hot enough to burn you but it does get warm. And the txpower fix will also improve wifi performance as well as the battery life. 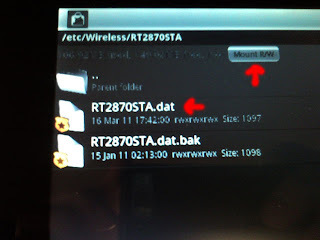 directly to your ePad / Zenithink ZT-180 or to your computer and transfer it with a flash drive or SD card. Open RootExplorer it's not a pretty gui by any stretch of the imagination just a good file system utility. Upon opening RootExplorer you may get a superuser popup – tick the Remember box and then click on Allow. Click on the Mount R/W Button to make the files Writable (other wise Read only). Android ePad Rooting or the Zenithink ZT-180 Root. 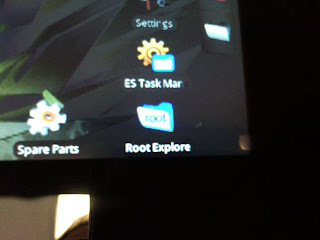 Quick and simple way to root the ePad. Every on knows how to use the down and dirties of the linux based Android and the SDK Tools right!!!! Well I'm Not .. 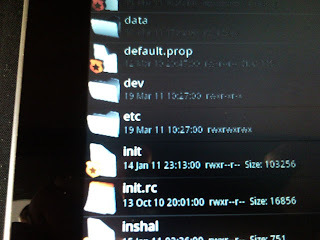 I do have some Linux Certifications but that has been years back so I need an quick and easy nOOb friendly way of rooting my ePad. 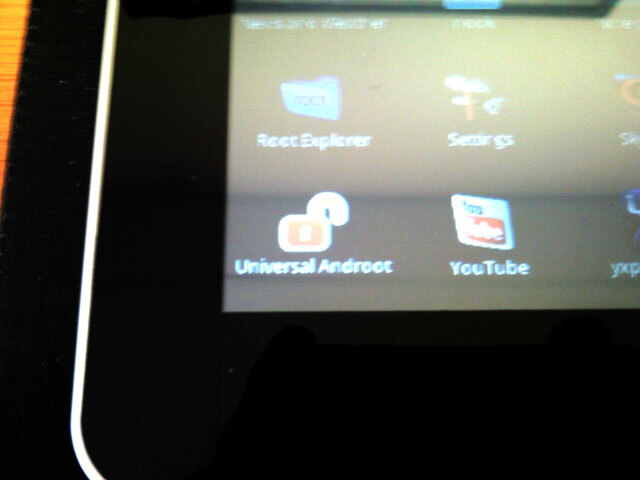 Download UniversalAndroot it is an apk just like any other application you would download for your Android. Once its downloaded (if you are doing this on your ePad) just click on the apk and it will install and open it. If you did not open it after installing it should be in your ePad's drawer and it looks like this. 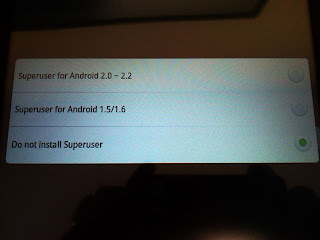 After you open UniversalAndroot you will see 3 buttons... **** if you have upgraded the ePad / Zenithink to Froyo 2.2 you can not use the option for Superuser for Android 2.0 ~ 2.2 you must select DO Not Install Super user when you click on it. Other wise it will error out. 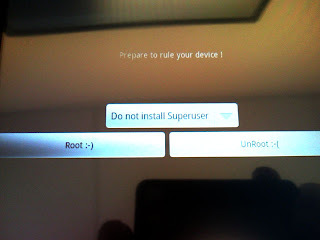 *** if you are still on 2.1 your good to go..
After you have selected your Superuser info hit Root:-) and watch the magic..
Had the opportunity to pick up an Android ePad and Play with it for a week. 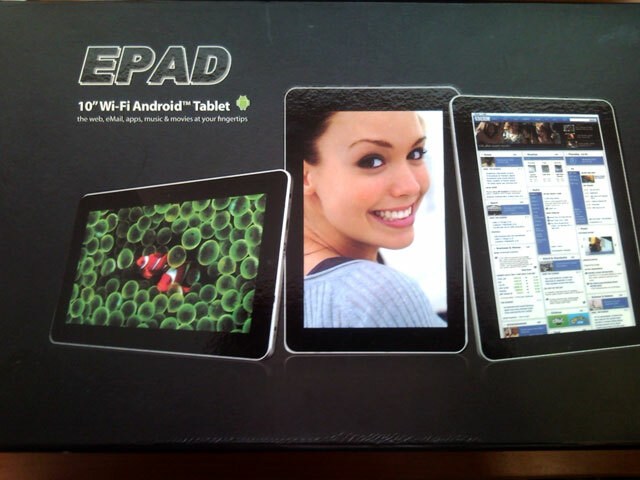 Here are my impressions of the ePad / ZT-180. is actually very usable but with some hacks the ePad is a much more powerful device. The touch screen all though a resistive type touch pad "not a capacitive screen" like the iPad is very accurate on the ePad. There is a stylus included to use, but I found that a finger nail and usually even the pad of my index finger worked great on the screen. 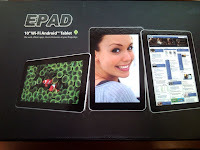 All of the applications on the ePad were quite quick and loading times were very fast with the Android tablet powered by the 1GHz ZT-180 ARM11 Processor (there is some debate on which classification this processor really is be it ARM11 or ARM6) but I could tell that it was relatively fast none the less. Internal memory is only 256MB DDR ram with 192MB dedicated for the system and 64MB for the video processor. 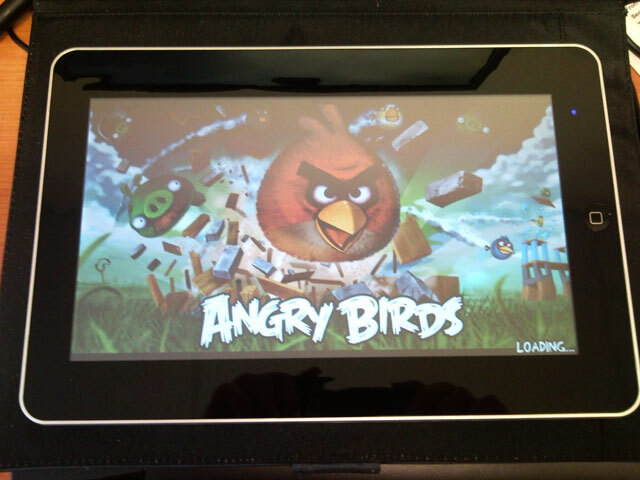 The ePad had no problems running Angry Birds straight from the Android Market. Menu Toggle buttons this is a rocker switch that looks like it would control the volume but they are for context menus. Head Phone Jack for listing to music watching movies in private. 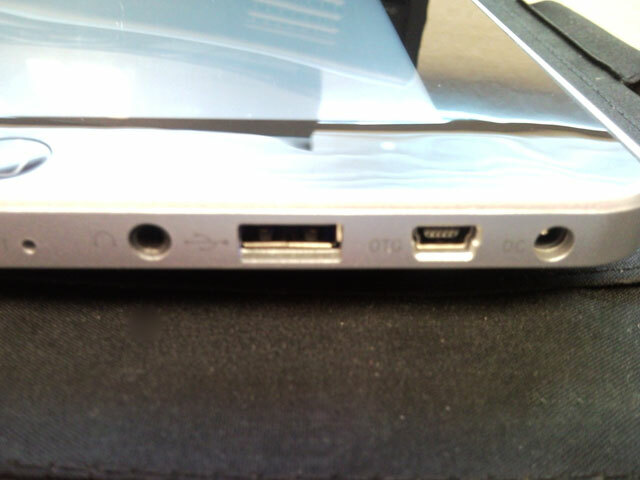 USB port full size 2.0 I think. I have used it with memory sticks or flash drives.. Pretty sure it would not power a hard drive though. Also would be good for 3G or soon to be 4G card as long as Android would have the driver for it..
Mini USB which for the life of me I can't get this damned thing to go in to Mass Storage mode.. to see it on the computer... 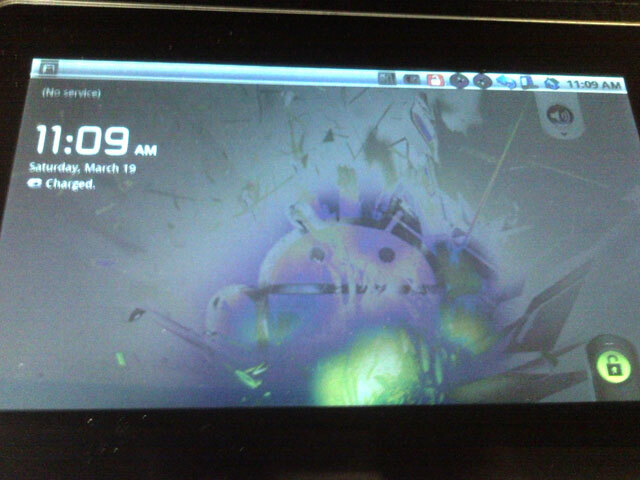 The only thing I can see it good for is Flashing the ePad's firmware.. I also tried for a bout a half hour to get Android SDK and ADB to work on it .. and promptly gave up. 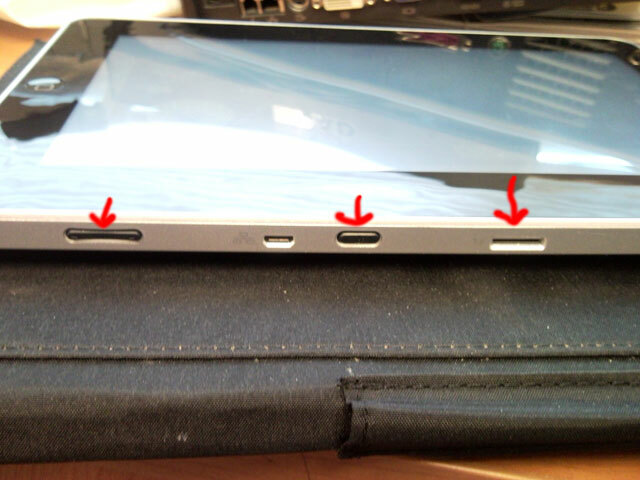 On the front is just the home button ..
All in all its is a very usable device for what it is... It is larger than the iPad first gen. And not exactly well made .. The case dos not flex from side to side .. but you can tell its a China made device and is very light and feels like a toy... (that is really what it is a Toy) ..
Will be posting about the Archos 7 HT and the Archos 5 Internet Tablet they both look and feel like they were built much better.. The ePad IMO is a nice little Tablet but too big and bulky for my tastes..
Later I will Post on how to Hack (Very simple way to ROOT the ePad / Zenithink ZT-180) the ePad a bit for the Wi-Fi Hack on the ZT-180 or ePad Wi-Fi Hack.. Here are the spec's for the pad.